Please Get To Know Us! Emily has more than 17 years of experience working with women, babies, and families. She has worked 10 years serving families in the greater Washington, DC area as a birth doula, hypnodoula, postpartum doula, childbirth educator, placenta encapsulation specialist, and sibling doula. She is a chapter co-leader for International Cesarean Awareness Network (ICAN). Emily has a B.S. in Anthropology and a concentration in Italian language. Go Noles! One of her biggest challenges as a parent has revolved around being an BFAR mom (breastfeeding after breast reduction), and had to combo feed, with breastmilk, formula, and donor milk. Emily's favorites in 3's: Coffee, Tiramisu, and Wine. Mountains, Rivers, and Forests. Purple, Gold, and Teal. *What to expect from Emily: Expect her to write and speak in exclamation points, to be an optimist, inspire confidence, encourage you and remind you of your power when you need it most, and respect your choices! For more background click here. Amy has 15 years of experience working with women, babies and families. She is a trained professional doula through ProDoula and Birth Arts International. She has experience with both breastfeeding and bottle feeding as well as medicated and natural births. Amy has a B.S. in Counseling Psychology and an A.A. in Child Development. Amy was raised in California, and still misses being on the beach. One of Amy's biggest challenges as a parent was coping with a colicky high needs newborn who had reflux and dietary allergies. Amy's favorites in 3's: Coffee, Dark Chocolate, French Pastries. Beaches, Coffee Shops, and Bookstores. Fuschia, Royal Purple, and Peacock Blue. What to expect from Amy: Expect her to write and speak in a friendly and easy going manner, to be kind, warm, and nurturing, to be an empathetic good listener, and encourage you to believe in the wisdom of your body and your baby, to support your choices! Kim has over 10 years of experience working with women, families and babies. She is a certified Bradley Method Instructor serving the Washington DC metro area and is a trained doula in birth and postpartum with ProDoula. Kim is also a Certified Lactation Counselor with the Academy of Lactation Policy and Practice. She is originally from Michigan and graduated from Michigan Sate University with a Bachelors of Science in Kinesiology. She enjoys photography, trying new recipes and spending time with her family. Her biggest challenge is trying to figuring out how to fit three children in their small Capitol Hill home! What to expect from Kim: Expect her to write and speak with passion and knowledge, to be encouraging and caring, to help you advocate your wishes, be nurturing and warm, honest and supportive, and support your choices and decisions! For more background click here. Ashley has 15 years of experience taking care and supporting families through doula work, babysitting and being a nanny. She has a Bachelor's degree in fashion design but after graduating and having three kids of her own, she discovered her strong maternal instinct which is what drew her to pursue a career in birth and postpartum services. She is a trained labor doula with ProDoula. One of her biggest challenges as a parent was having her daughter while in college. She was able to graduate with her class thanks to a very strong support team! Ashley’s favorites in 3’s: Coffee, tacos, and extra dirty martinis. White sand, clear water, and a hot sun. Chartreuse, turquoise, and black. What to expect from Ashley: Expect her to write and speak with a lot of enthusiasm, laugh and joke with a modest amount of sarcasm, and unconditionally support you in your story of your unique and special journey into parenthood! Charnise has over 4 years experience in maternal and child health, including 3 years of providing lactation support. She earned her Bachelors in Health Science and Health Education from Howard University and is currently pursuing a Master In Public Health from The George Washington University. 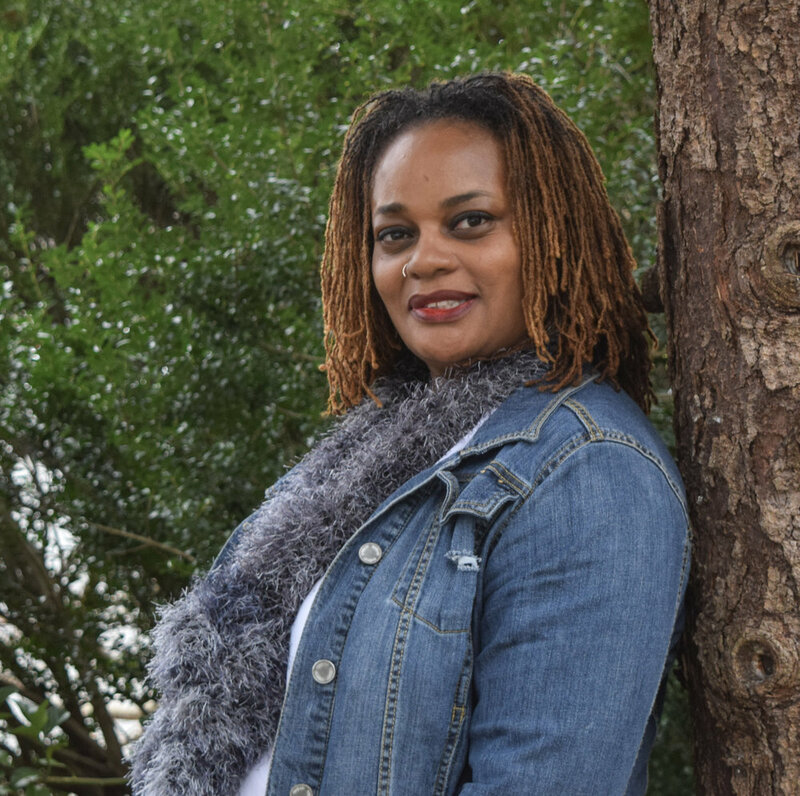 Charnise is passionate about providing culturally competent care to all the families she serves! One of her biggest challenges was finishing undergraduate studies while working two jobs and breastfeeding! Charnise favorites in 3’s:Family, Crabs and Sunshine. Herbal tea, Blankets and Journals. Shared notes, Best Friends and Creating fun events. What to expect from Charnise: Expect her to listen to your every concern, support you in your breastfeeding goals, give recommendations specifically for your family and lifestyle and fill you with positivity and confidence! Vanessa has over 3 years of experience helping support women, children and families. She is a trained birth doula, postpartum doula, and placenta encapsulator. She has a B.S. in Human and Family Development concentrating in child development. Secondly, she has a Culinary Arts Diploma-happily ready to curate a meal for you in your postpartum package! Vanessa has practice and understanding in both unmedicated and high risk pregnancies. As a native Texan she loves good country music, BBQ and football. One of her biggest challenges has been trying to become a parent herself, making her a good resource in infertility, ART, and IVF. Vanessa's favorites in 3's: Cheese, Charcuterie, Fruit. Bonfires, Binge Watching TV, and Spending time with her husband at local festivals around the DMV. Expect her to follow her gut and intuition and you to do the same. use your voice and provide unbiased care! Charissa has more than 6 years experience working with women, babies and families. She has doula trainings with ToLabor, Mamatoto Village, and is currently certifying with Doula Trainings International and a trained Childbirth educator with CAPPA. She has worked as a doula for the last 6 years and has experience supporting many different labors and families. Charissa is a certified Yoga and Prenatal yoga instructor with a B.A. in Marketing. She considers herself a relaxed health and wellness enthusiast who enjoys going on new adventures with her family, cooking, making body butters, and traveling. One of her biggest challenges as a parent is “not being too hard on yourself!” There is no such thing as perfect parent. All we can do is try our best, be open, and learn from our mistakes. Charissa's favorite's in 3's: Cinnamon Buns, Lemonade and Pizza; Plants, Purple and Decor; Hiking, Dancing and Books. What to expect from Charissa: Expect her to act in a kind and loving way, to speak in a caring and friendly manner, to encourage and support you every step of the way, and to remind you of your power and abilities! Taylor has been supporting families in the DMV area since 2010. Originally from New Jersey, she attended The George Washington University for Human Services and Psychology, and in the process fell in love with DC and never left. She is a trained Birth and Postpartum Doula and Placenta encapsulator, as well as a Yoga Teacher. She enjoys cooking and watching cooking shows with her husband and dog Daisy. Taylor’s favorites in 3’s: Seltzer, craft beer, and hot cocoa. Tattoos, books, Netflix. Podcasts, board games, hiking. What to expect from Taylor: Expect her to write and speak with passion and compassion, to meet you where you are in your parenting journey, and to be a rock of grounding, and non-biased energy and support. Kim has been a massage therapist since 2015 and has been serving DCH clients in-home since 2017. Kim is certified in pre/postnatal and induction massage and is trained to provide infant massage education. Kim received her Postpartum Doula certification through the International Doula Institute. A native to the DC area, Kim grew up in Vienna and is a mom to 5 daughters. Her passion to empower and educate women has led her to this work. Her pregnancies and birth experiences are varied, and through those she is able to support moms, partners and families during one of the most important times of your life. One of her biggest challenges was having a 30-weeker in the NICU 40 miles away for a month and a half and leaning on her “village” to care for her children at home. Kim’s favorites in 3’s: Malbec, Brussel Sprouts, and Thai food. DIY body products, beaches, and shopping with her daughters. Grey, brown, and red. What to expect from Kim: Expect her to write and speak with knowledge and understanding, provide non-judgmental support in your postpartum journey and respect your choices as the story being written belongs to YOU! Heather has been supporting women since she was young. Being a great listener and a shoulder to cry on, she was a doula before she knew she was one! She is currently trained with ProDoula and has supported births ranging from water birth to epidurals to C-sections and has a passion for helping families through birth and the first year. She is a Babywearing Educator and can help parents figure out how to use their new carriers or which would be best for their needs. Sleep Coaching is also an area in which Heather has expertise. She is an avid reader and is always looking for new ways to explore with her family. One of Heather's biggest challenges as a parent was letting go of perfection and embracing formula after tandem nursing. Heather's favorites in 3's: (Failing at) getting 8 hours of sleep every night, Craft Projects, Date Night. What to expect from Heather: Expect her to write and speak in a very friendly voice, be lighthearted, and provide a place of comfort and support! She will support your decisions and provide educational information in whatever capacity is needed. Jacquelin has more than 3 years of experience working with women, babies, and families. Originally from Ohio, she is trained through ProDoula as a doula and Postpartum Placenta Specialist and serves families in the greater Washington, DC area. Jacquelin has a B.A. in Sociology and also works in child welfare. She enjoys spending time with her children, her husband, and attending Sunday brunch with friends. One of Jacquelin's biggest challenges was coping with breastfeeding her 3 year old son at birth and accepting pumping. Jacquelin's favorites in 3's: Wine, Coffee, and Dr. Pepper. Home Decor, Baby Clothes and Purses. Bookstores, the rain and Blankets. What to expect from Jacquelin: Expect her to write and speak with knowledge and humorous sarcasm, provide non-judgmental support in your birth and postpartum choices and be compassionate and understanding! Muriel (pictured right) has been working with women, families, and babies for the past 20 years. She is trained by the Childbirth and Postpartum Professional Association. Muriel is non-judgmental and supportive of both breastfeeding and bottle feeding. She attended culinary school in London and was a private Chef before realizing her calling as a Postpartum Doula. One of her biggest challenges as a parent was learning how to breastfeed while she had episiotomy. Muriel’s favorites in 3’s: Earl Grey Tea, Fruit Smoothies, and Indian Food. Baking, Walking and Reading. Off-White, Beige and Dark Brown. What to expect from Muriel: Expect her to speak with a lot of warmth and understanding, provide sustenance for your family and unconditionally support your choices in postpartum that best work for your family! Casey has been working with women and families for 11 years and is a trained birth and postpartum doula. She has experience supporting families with special needs, multiples, adoption, as well as medicated and unmedicated births. Casey has her MPH in Global and Community Health and also spent time studying health disparities and nutrition as pertains to women of childbearing age. Favorites in 3’s: Sunflower, sweets, and scarves. Mountains, cold weather and Greek food. Animals, white water rafting and random trivia knowledge. What to expect from Casey: Expect her to listen intently, write warmly (and enthusiastically!) and to speak honestly and kindly. She will be nurturing and compassionate, and will provide you with encouragement and support as you navigate the parenting journey! For more background info click here! Emily has over 5 years of experience supporting families in Washington D.C. She has recently graduated with her Masters in Public Health from the George Washington University in which she focused her degree on Maternal and Child Health. Emily is passionate about supporting families in the District and helping them actualize their infant feeding goals. She is also an active member of the DC Breastfeeding Coalition. One of her biggest challenges was finding balance while finishing her masters degree, working full time, purchasing a home and rescuing a puppy all within one year! Emily's favorites in 3's: Sushi, Wine and Hosting Dinner parties. The Beach, Family, and Puppies. Baths, Candles and Rain. Expect her to provide non-judgmental breastfeeding support, truly listen to your questions and concerns, and help with an individualized plan for you, your partner and your baby! Jenna has over 7 years of experience working with women, babies and families. She started her career working as a Labor and Delivery nurse, then spent several years working at an OB/GYN office during which time she obtained her IBCLC certification. Jenna has experience working with families through their whole breastfeeding journey, whatever length that may be! Jenna has a B.S. in Nursing. One of her biggest challenges as a parent are finding ways to nurture both her children who are in very different developmental stages! Jenna's favorites in 3's: Coffee, Chocolate and Wine. Oceans, White Sand and Sun. Planners, Lists, and Fancy Pens. What to expect from Jenna: Expect her to write and speak to you in a friendly, non-judgmental way, and to empower you to be successful during your breastfeeding journey! Jade has more than 7 years of experience providing reproductive and sexual health education, programming, and training in various communities. She is a trained birth doula with DONA International and has supported births in the greater Washington DC area. She grew up in a military household, so she’s originally from “a little bit of everywhere.” She has a Masters of Public Health in Health Education and Promotion and is committed to providing empowering and culturally competent care to increase access to information and services. One of Jade’s biggest challenges was making it through her first semester of her MPH program which overlapped with her time living in (and also transitioning out of) Peru as a Peace Corps Volunteer. Favorites in 3’s: Books, music, and travel. Pole dancing, puppies, and the color yellow. List making, learning, and (sometimes) her cat Pippy. What to expect from Jade: Expect her to actively listen to your needs and concerns, be friendly, and professional with a dash of lighthearted sarcasm, to be like the calm in the midst of a storm, and to provide unbiased, non-judgmental support. Kaely has 10 years of experience encouraging and helping young women. The last 5 years she’s been working with families in lactation specifically during pregnancy and postpartum. She’s an accredited La Leche League Leader and thrives in supporting and advocating for families during pregnancy, labor and postpartum. She is currently trained with ProDoula as a Labor Doula and has experience in both natural and cesarean births. Kaely has a BA in Religion and Philosophy and an MA in Organizational Leadership. She’s also bi-lingual in Spanish and English after having lived in both Spain and Costa Rica. One of her biggest challenges as a parent is figuring out parenting the unique personalities of her three children. As a homeschooling parent, it’s particularly challenging to sort through the individual learning styles of each child matched with their range of needs (and demands!). Kaely’s favorites in 3’s: Tea, Friends, and Reading. Sewing, Learning and Crisp Fall Mornings. Warm Sweaters, Dates with her husband, and Everything Jewel-Toned! What to Expect from Kaely: When working with Kaely expect her to communicate with enthusiasm and sincerity, whether in person or via text or email. Throughout the process of preparing for and giving birth, she will equip you with information to help you advocate for yourself in your family’s decisions. Expect her to support you warmly and passionately while respecting your personal and family choices as if they were her own. For more background info click here!